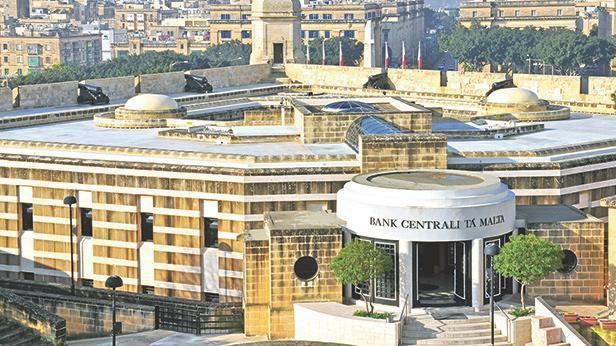 Malta’s economy is likely to grow at a slightly slower pace than initially expected this year due to weakened international conditions, the Central Bank said in its latest projections. The Bank now expects the country’s GDP to grow by 4.8 per cent this year, 4.4 per cent in 2020 and 3.5 per cent in 2021. In its December projections, the Bank had predicted a GDP growth rate of 4.9 per cent this year. The CBM said it expects growth to remain high, supported by both demand and supply factors. Domestic demand, driven by higher consumption and investment, is expected to remain the primary driver behind GDP growth. In its projections, the bank said it expects investment growth to rise sharply this year and the next, due to planned expenditure on infrastructure and health. Net exports, on the other hand, are expected to dampen GDP growth over these two years before picking up in importance in 2021 when a number of investment projects are completed and aviation sector investment normalises following rapid expansion. Job creation will remain strong, though it is likely to moderate from historic highs, and the labour market will likely remain tight, with the unemployment rate projected at 4 per cent by 2021. Annual inflation, based on the Harmonised Index of Consumer Prices, is projected to edge up to 2.1 per cent by 2021, reflecting a pick-up in domestic wage pressures. Government finances are expected to remain in surplus over the coming years, bringing the debt-to-GDP ratio down to below 40 per cent. The Central Bank said that looking ahead, the external environment had become less positive in recent quarters, posing downside risks to projections of economic activity and inflation. Conversely the risks to public finances are to the upside (higher surpluses), due to possible slippages in the implementation of locally-financed investment projects. The projections can be read in the pdf link below.